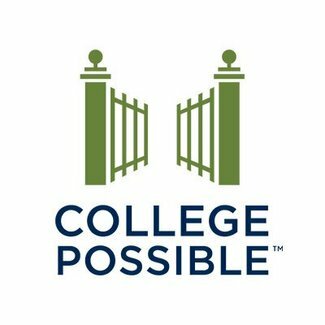 Thank you for using this link to sign up for your College Possible interview. If you do not see a slot for which you are available, please consider asking your school counselor if you can be excused from class for a few minutes to do an interview. Each interview lasts 10-15 minutes. If you can't find an open slot with the primary interviewer for your school, listed below, feel free to sign up with any interviewer! We are all excited to get to know you and talk about the program. 04/22/2019 (Mon) Phone Interview with Hannah R.
Phone Interview with Hannah R.
Phone Interview with Hannah I. 04/23/2019 (Tue) Phone Interview with Hannah R.
04/29/2019 (Mon) Phone Interview with Hannah R.
04/30/2019 (Tue) Phone Interview with Hannah R.
05/20/2019 (Mon) Phone Interview with Hannah R.
05/21/2019 (Tue) Phone Interview with Hannah R.
05/27/2019 (Mon) Phone Interview with Hannah R.
05/28/2019 (Tue) Phone Interview with Hannah R.
06/03/2019 (Mon) Phone Interview with Hannah R.
06/04/2019 (Tue) Phone Interview with Hannah R.
06/10/2019 (Mon) Phone Interview with Hannah R.
06/11/2019 (Tue) Phone Interview with Hannah R.
06/17/2019 (Mon) Phone Interview with Hannah R.
06/18/2019 (Tue) Phone Interview with Hannah R.
06/24/2019 (Mon) Phone Interview with Hannah R.